Such a great archive of stories being built here, would be so great to see more blogs like this across the world. Categories: Autobiography, Biography, Women | Tags: Autobiography, Baha'i, herstory, history, woman | Permalink. Happy Reading, viewing and listening. Categories: Arts, Blogging | Tags: art, colouring in, history, music | Permalink. Most commonly used words in #OzHA2015 tweets during the 2015 Australian Historical Association Conference. Click on the word cloud to enlarge it. Click on it again to be taken to the data behind this word cloud. I love this facility from Voyant Tools! During the four days of open sessions at the conference, participants tweeted over forty thousand words excluding hashtags and Twitter handles. This year’s conference had the biggest Twitter stream of any Australian Historical Association conference since 2012 and as my last post showed, more people tweeted the conference than ever before. A conference Twitter stream is a news service for those who cannot attend the event. It is a crowd note-taking service which participants can refer to in order to jog their memory, find out what happened in sessions they did not attend and to provide added commentary which enriches the conference discourse. Categories: History, Twitter | Tags: history, twitter | Permalink. Categories: History | Tags: Contemporary Society, history, Relevance | Permalink. 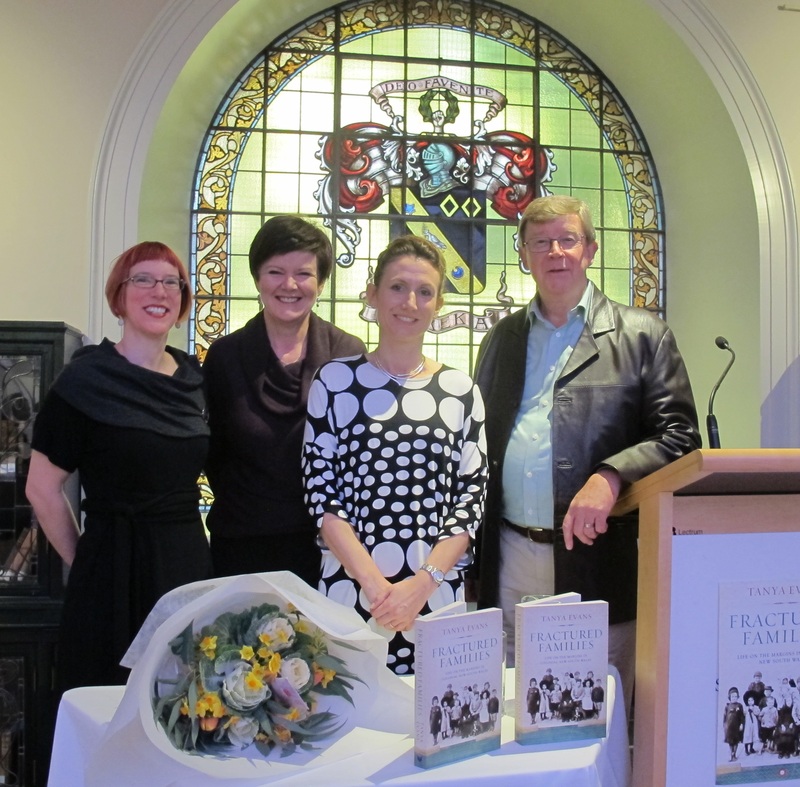 Lisa Murray (City of Sydney Historian), Jo Toohey (CEO of the Benevolent Society), Tanya Evans (author of Fractured Families) and Max Carrick (family historian mentioned in Fractured Families). Photo courtesy of the Benevolent Society. 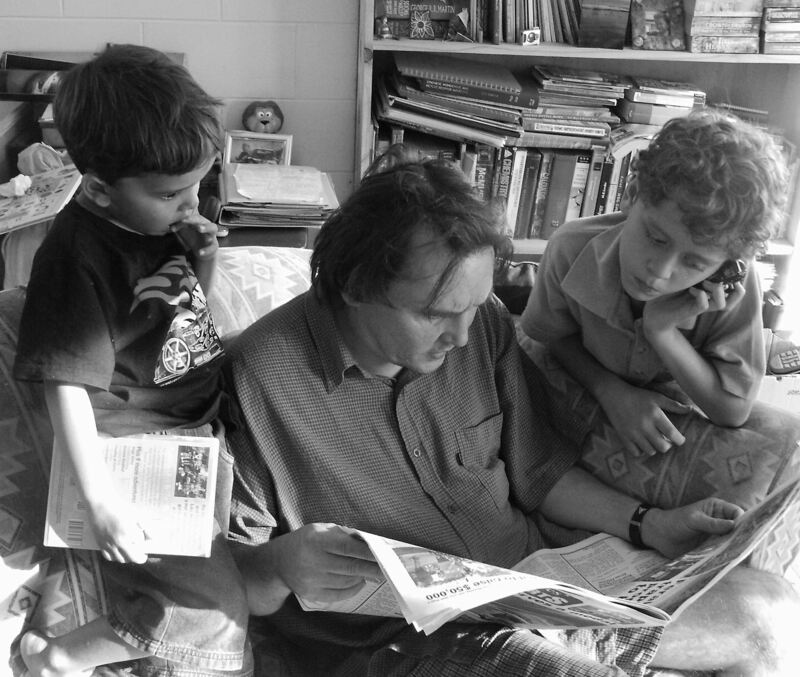 “Australian history has been transformed by the contributions of family historians”, says Dr Tanya Evans, historian at Sydney’s Macquarie University. Her new book Fractured Families: Life on the Margins in Colonial New South Wales, is the result of collaboration between Tanya Evans and some of the many family historians who have worked with the archives of Sydney’s oldest non-religious charity, The Benevolent Society. Categories: History | Tags: Geneaogists, history, social historians | Permalink. Congratulations to all those involved in Baha’i Chronicles. Three years ago, Neda Najibi started a series on her Facebook page titled ‘Did You Know?’ portraying stories about Bahá’í Heroes and Heroines. She did this because she noticed there wasn’t a single online location systematically attempting to capture the heroism, struggles, victories, sacrifices, and the dedication of past and present Bahá’ís. The death of Neda’s father (Nassir Najibi 1925-2013) gave her the impetus to launch Bahá’í Chronicles, to honour the many heroes and heroines, past and present, of the Bahá’í Faith. She undertook the project to honour the memory of her father and feels he has been her guiding light for the past two years of putting this site together. Categories: History | Tags: Bahai Chronicles, heroes, Heroines, history | Permalink. This blog is a place of conversation and sharing. After I finished history honours at the University of Sydney in 2010 I wanted to pass on what I had learned to others who are interested. However, my learning has not stopped with the end of my university education. Since then I have worked as a research assistant on a project examining the history of teaching reading in Australia as well as some other projects. Currently I am researching the beliefs of Australian soldiers serving on the frontline in World War I. As this abstract about my initial research indicates, I am interested in what the soldier’s wrote in their diaries and letters about their beliefs. Effective publicity of the work of historians drawing on my previous work in public relations and my professional use of social media. I am a member of the Professional Historians Association of New South Wales. I have conducted Continuing Professional Development sessions for their members about how historians can use social media effectively for their professional development and publicity of their work. This blog does not merely focus on my current research. I share the history I encounter in my everyday life through reviews of books that I read for pleasure and work, exhibitions I visit, conferences I attend, history of places I travel to as well as issues currently of interest to the public and profession. For the last couple of years I volunteered for the Australian Women Writers’ Challenge, looking after the genres of histories, biographies and memoirs. This blog is part of my commitment to share what I have learned with anyone who is interested, but it goes further than that. Yes, there is much learning in the academy but there is also a lot to learn from so many other people. Family history is booming, people love reading biographies and many are engaged in activities ranging from historical re-enactments, local history to histories of organisations such as clubs and places of worship. Everyone has their own life story which includes knowledge of the past. I have much to learn from all this. Categories: History | Tags: Civil rights, history, Obama, Oratory, Speech | Permalink.